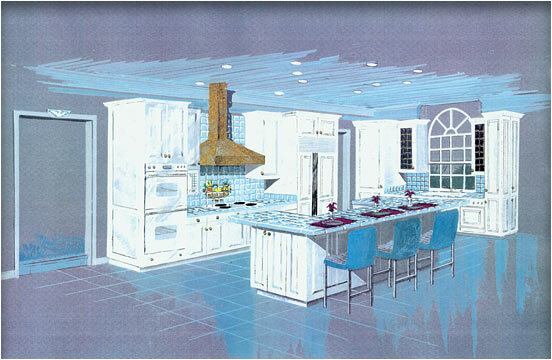 Larger Project 3-6, Kitchen Rendering » Roger Perron Inc. Here is a rendering prior to construction to show the owners what the expected look would be like. Home remodel and additions with luxury floor plan performed in San Marino, designed by Phil Dubé, architect, and Roger Perron, design-build contractor.